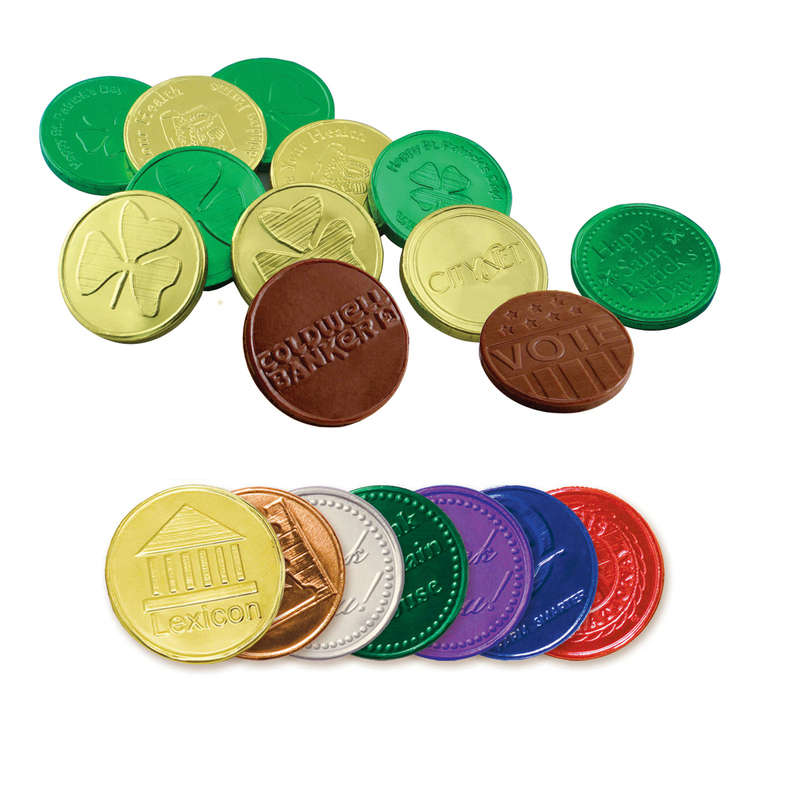 Enhance your event with foiled custom chocolate coins packaged beautifully in stylish Organza bags. 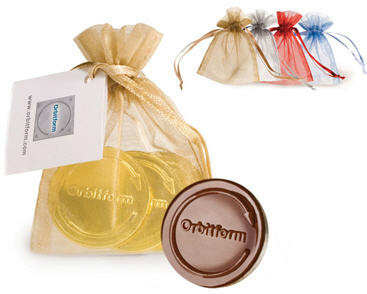 3 of our delectable award-winning 1.5” custom chocolate coins make a wonderful souvenir for every occasion, and the packaging of small pouches adds a dash of elegance to them. You can get custom hang tags also, for an extra $1.50 per bag.